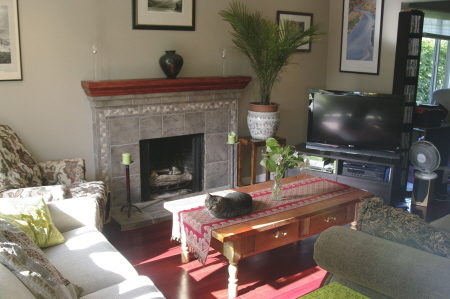 Cozy elegance and luxury are what define this family home in the heart of Kitsilano. Kits is known for its leafy tree lined streets and laid-back atmosphere. The area has been one of the most sought after areas to live in since the early 1960's when it became known as one of the main Greek communities of town. The Greek people were drawn to this area do to the close proximity to lovely long sandy beaches and the views of the majestic mountains. This comfortable residence is set on a generous size piece of property. When you enter this contemporary family home, there is an immediate feeling of warmth and cosiness provided by the large gas fireplace and elegant country style furnishings. 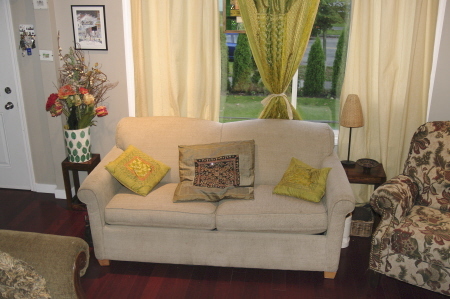 This Kits home is spacious and open plan with Brazilian hardwood floors throughout. There are large double glazed windows in all rooms that provide a light and airy feel inside while still keeping the cold and noise outside. 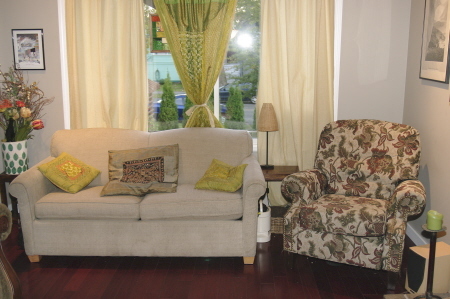 The 15 ft x12 ft living room has a 40 inch flat TV screen, two couches and recliner chair. One of the couches pulls out to provide an extra queen sized bed, should you need it. 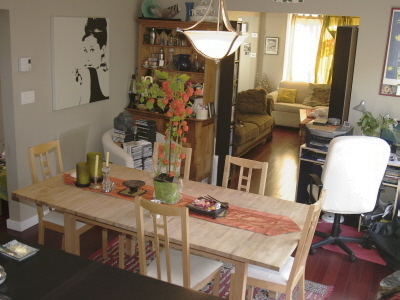 The living room area leads directly into a spacious dining area, complete with family sized dining table and computer area. 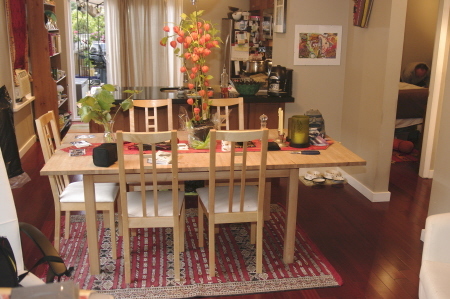 The dining room is 12 ft x 13 ft and divided by a black granite counter top bar between the dining area and kitchen. 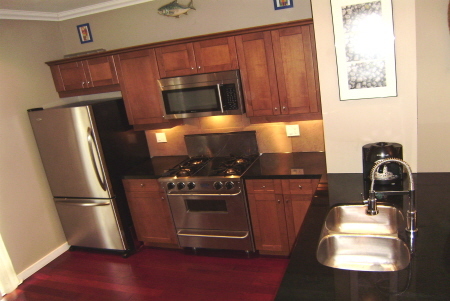 The kitchen is equipped with Jenn Air stainless steel appliances, double wide sinks and Kohler fixtures. 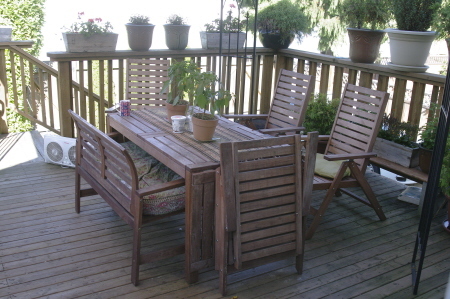 The kitchen has two large French doors that lead out onto a spacious back deck. The porch has a nice view of the mountains. In back, near the garden, there is a secure locked area for parking your car. On the main floor of the home are two bedrooms. 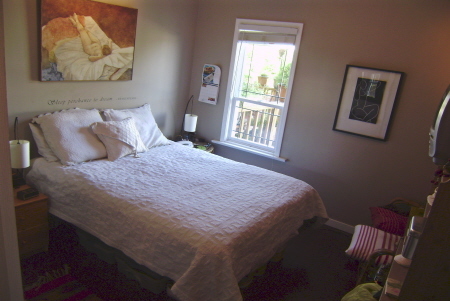 The master bedroom has a queen sized bed with a new Sears-o-pedic mattress. 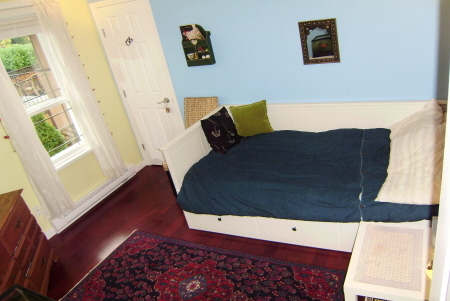 The second bedroom, although slightly smaller, has the choice of a single bed or a queen sized bed that may be easily exchanged for the one or the other. There is also a walk in closet. Both of the bedrooms are nicely appointed with new beds and linen. 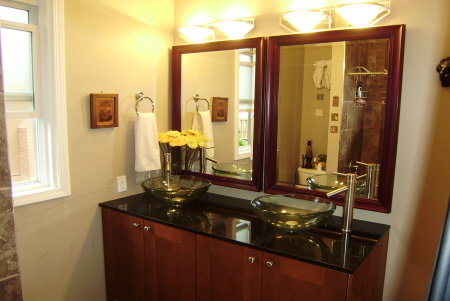 The bathroom, situated between both bedrooms, has two vessel style sinks with a large mirror above each sink and has a bath and shower. 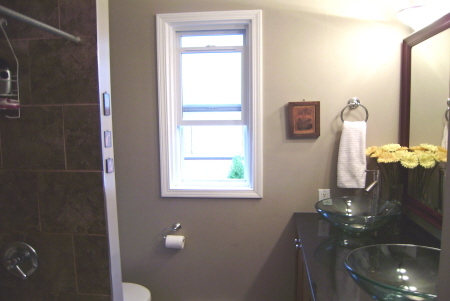 For your convenience, there is also a full-size washer and dryer. This house was built in 1928 and then was renovated by a Japanese developer in 2007. The renovations manage to provide a simplicity and warmth to this older, but robustly built home. 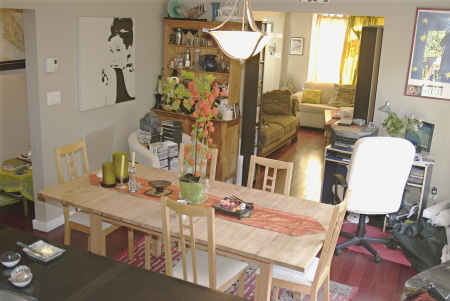 You are sure to feel very much at home, in this lovely family setting, in one of the most sought after areas of town. 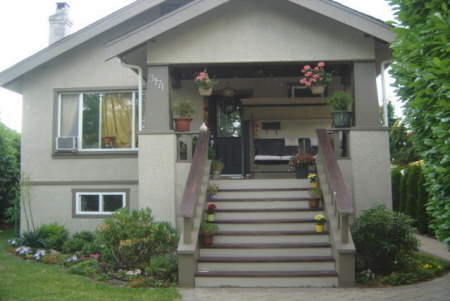 From this Kitsilano area home you will find yourself in close proximity to all the Olympic venues. It takes between 5-10 minutes to get to B.C. 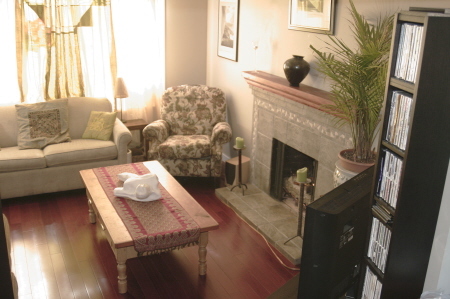 Place by car, and approximately 10 minutes to the downtown core. An eight minute drive takes you to the University of British Columbia and a five minute drive away from picturesque Granville Island. From Granville Island you can take a small four minute mini ferry ride to the downtown core. It takes approximately fifteen minutes to drive from Kits to Richmond, so, you will also be in close proximity to the airport. Step out the back door and you are on Broadway with its multicultural array of restaurants, coffee shops, delicatessens and fun stores to poke around in. Also, for your enjoyment, there is one of the oldest cinemas in Vancouver, the Hollywood Theatre, at just a stone throw away. The Hollywood Theatre has been owned and operated by the same family for 73 years and still has an art deco feel. You can catch a double bill here for the very reasonable price of only $7.00. You also may want to take a ten minute bike ride to the beach. Even in winter the beaches are a sight to behold. 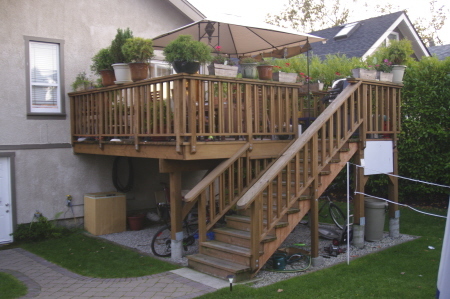 Kits is a vibrant part of the city and can add a wonderful touch of fun to your Olympic holiday.